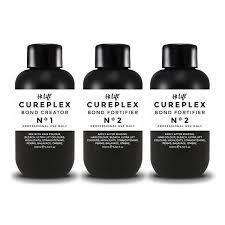 Protect and care for your coloured hair with, the revolutionary formulation of the Hi Lift Cureplex range. 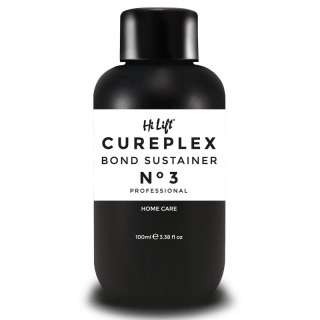 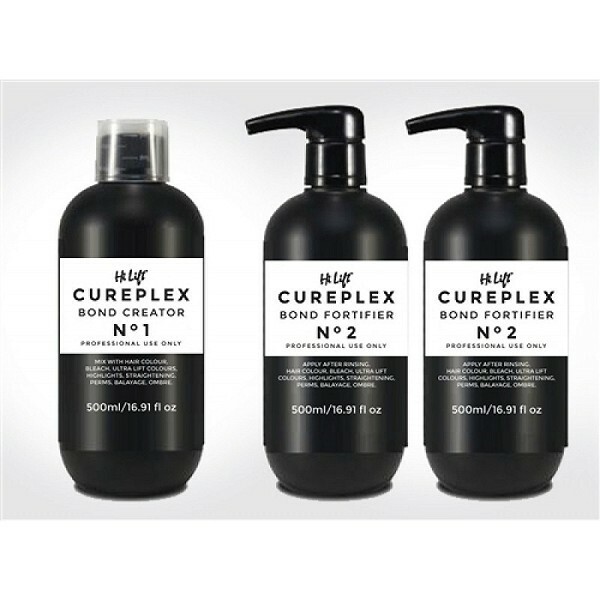 Step 2 of the Hi Lift Cureplex range of revolutionary haircare products, the No.2 Bond Fortifier is a rinse that works to fuse newly formed hair bonds to the hair cortex, smoothing the cuticle layer of your hair to create a uniform surface. 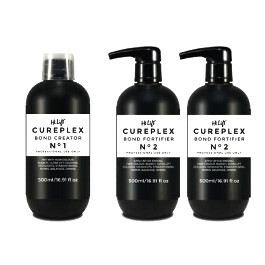 Cureplex is your most powerful tool in salon. 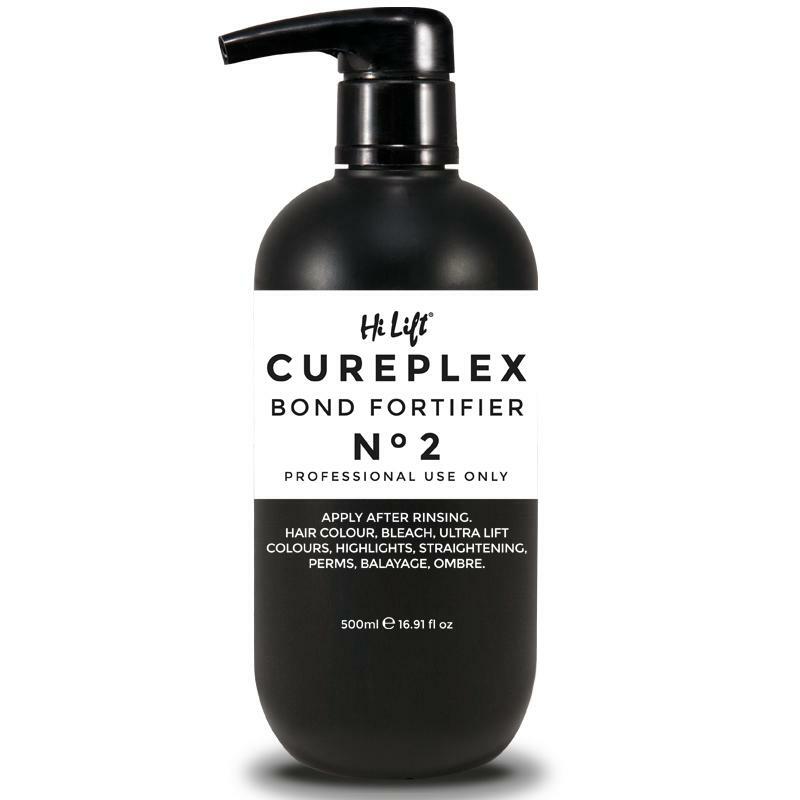 It will protect, strengthen and improve elasticity. Whether the hair is thermally or chemically over processed Cureplex will protect. 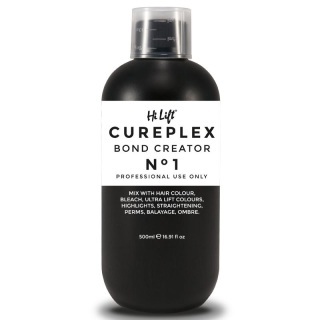 Cureplex is delivered through any chemical service in salon such as hi lift tinting, bleaching, depositing, toning, colour removal, perming, chemical straightening etc. 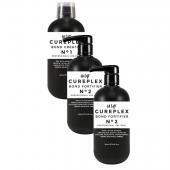 It can also be delivered as a stand alone treatment for hair that’s damaged environmentally, thermally or chemically. However gentle the formulation, chemical processes always damage the hair. 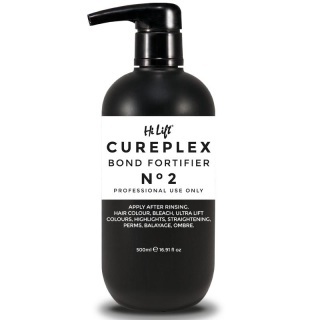 Strength, suppleness and appearance suffer, leaving hair dry, dull and lifeless.